Are you looking for the best dentists or orthodontists in Alwarthirunagar? Well, if you’re in and around Alwarthirunagar, you’re in luck. A severe toothache is one of the most painful experiences a person can experience. Improper dental hygiene along with bad food habits can severely damage one’s tooth. Bad dental hygiene is the biggest contributor to all teeth-related problems, toothaches, cavities, plaque, gum problems, yellowing of teeth, destruction of tooth enamel, weak teeth etc. Having a well-experienced dentist around to consult is the best way to make sure that your teeth are getting the care it needs. If you are searching for a dentist in and around Alwarthirunagar, you need not search further. Being one of the best orthodontic clinics in Alwarthirunagar, our speciality is helping you build beautiful smiles using the latest dental technologies for painless and comfortable treatment. We take pleasure in offering a complete dental care in Alwarthirunagar, Anna Nagar and Virugambakkam as well. 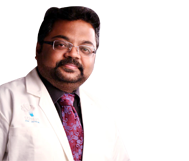 Our experienced and skilled dental doctors in Chennai offer a variety of solutions for your dental problems. Our clinic has state-of-the-art machinery, beautiful interiors coupled with friendly staffs. We will make sure you have a pleasant experience in our dental clinic and spa. Our customers are our kings and we are committed to providing the best dental care possible. No other dentist can compete with us as we have the best dental surgeons in the city. With proper oral hygiene, most dental problems can be prevented. Keeping this in mind we help in creating awareness about dental health and hygiene by educating our patients about the importance of oral health. The major cause of cavities is when a patient has bad dental hygiene (example: food particles stuck in the teeth). If a cavity is not cleaned and filled soon, the tooth can require a root canal treatment to be saved from further damage. If left untreated, the cavity will completely destroy the tooth causing a toothache or jaw pain. We use a variety of materials for fillings ranging from metallic and ceramic composite fillings. We ensure that our patients are given choices so that they can make informed decisions. A dental filling can help repair tooth cavities or other damage to the tooth surface. After cleaning the tooth, the remaining cavity is filled with a filling which restores tooth structure and protects itself from further destruction. If the tooth decay or damage is severe, procedures like a root canal treatment may be required. In some cases of tooth decay and damage, the tooth structure may have to be fitted with a dental crown. This helps to restore the tooth structure. A root canal treatment involves removal of the tooth pulp and nerve along with any decayed parts of the tooth structure. A root canal is necessary in cases where the cavity extends to the innermost layer of the tooth. Upon completion, the inner parts of the tooth are filled with a sealant and the outer tooth is restored with a regular filling. We make sure that our patients learn about the procedure which they undergo so that they have a better understanding of the problem so as to practice good oral hygiene. Our dentists are highly skilled holding several years of experience in the dental industry. Need the services of the best dentist in Alwarthirunagar? Schedule an appointment right away.